Riding a motorcycle puts you in an adrenaline-fueled, hyper-aware emotional state. It’s no wonder more than 500,000 people are ready to visit Daytona Beach’s Official Bike Week this month. When you’re riding a bike, your hands and feet are always busy, and you never stop being alert. Unfortunately, wearing safety gear and being aware of your surroundings doesn’t always prevent a crash. Whether you ride your bike every day or occasionally, it’s important to understand what to do in case of an accident. Motorcyclists are at a much higher risk of getting injured in an accident even if they wear appropriate gear. That’s because the bike itself doesn’t offer as much protection as a car. In a collision, a car driver is securely strapped in his seat whereas a motorcyclist may get flung from his bike. Considering the possibility for serious injury, it’s important to call for medical assistance right away. If there are medically trained personnel at the scene of the accident, they’ll step forward and take the lead. Unfortunately, a crash involving a motorcycle can lead to severe and deadly injuries involving the brain or spinal cord. It’s also likely for the rider to injure their knees or hips. It’s imperative to call an ambulance right away and to avoid moving the injured, unless it’s absolutely necessary. After the paramedics have arrived to take care of the injured, it’s important to investigate what happened. While the police may be there, it’s important that you have someone on your side who can handle this for you. An experienced personal injury attorney will obtain the evidence that was secured at the scene and collect additional information needed to build a case. They’ll also read through the witness reports and talk to the people who were on site to determine what actually happened. In some cases, an attorney may hire an independent accident investigator to dig deeper. Even though motorcycle injuries are often very serious, most of these accidents don’t happen at very high speeds. Unfortunately, it doesn’t take a big crash for a rider to get hurt, especially if he gets thrown off the bike. The accident may even involve a pillion passenger, who is just as much at risk as the motorcyclist. The investigation will revolve around figuring out who is at fault for the accident. A lot of times, the driver of the car or truck just didn’t see the motorcyclist. In some cases, the driver of the other vehicle wasn’t being careful enough. Unfortunately, one accident can dramatically alter the life of the motorcyclist. It’s understandable if you don’t think about hiring a lawyer immediately after a car crash. But once it has become apparent that you’re dealing with a severe personal injury case, it’s necessary to seek compensation through legal means. Depending on the type of injuries you have suffered, the medical care required can be quite extensive and expensive. In unfortunate cases, it may take many months or even years to recover from the accident. In some cases, life-altering changes necessitate additional expenses to accommodate the injured individual. When you’re seeking compensation for the accident, you should never accept a settlement offer from the insurance company without talking to your attorney about it first. Insurance companies frequently make low offers, because quick cash can be appealing to the injured. It’s better to take the team approach and work with your lawyer to make an educated guess on what your future expenses will look like. The money you receive should cover current and future medical bills related to the accident. The first offer form the insurance company may not even be enough to pay for your current medical bills when treatment is complete. 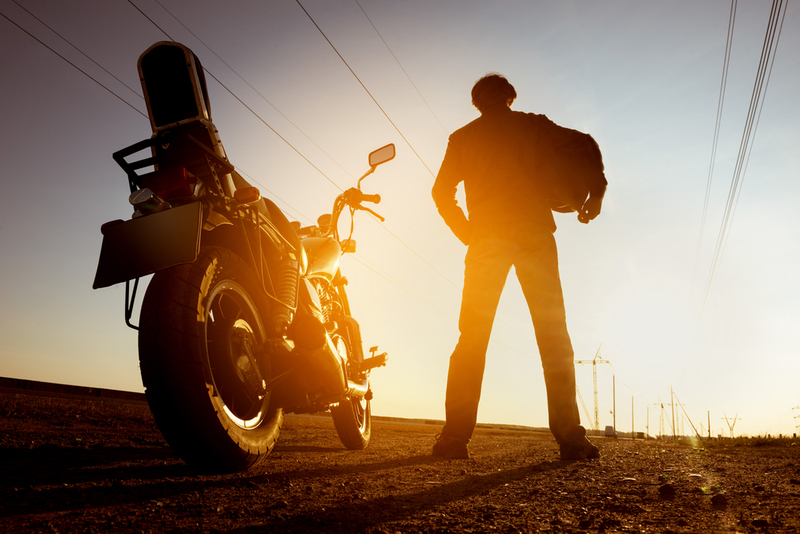 A motorcycle accident can put your life on hold. Even if you have only suffered minor injuries, you need time to recover from them. While you’re healing and getting the medical care you need, you’ll be unable to work. It’s your attorney’s job to ensure that you receive adequate compensation for your injuries, lost wages, and pain and suffering. If you’ve been injured in a motorcycle accident, it’s important to get the right representation. The team at The Harr Law Firm understands how an accident impacts your life. They stand ready to assist you and answer your questions. Give them a call or use their contact form to get in touch about your case.